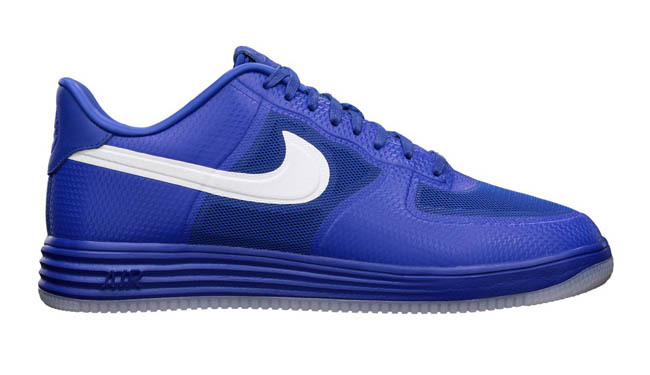 Included with the Air Force 1's 30th Anniversary collection is the all new Lunar Force 1 in two 'Game Royal' colorways. As you can see, the two colorways reverse each other with Game Royal dominating the Hyperfuse upper on one pair with white accents, and white dominating the other pair with Game Royal accents. 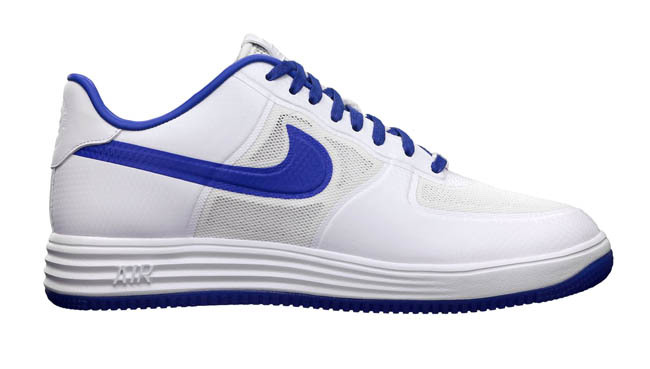 Both pairs get a translucent outsole underneath the lightweight Lunarlon midsole, with an icy clear sole for the blue pair, and a Game Royal tint added to the white pair. Check for both pairs at your favorite Nike Sportswear retailer now, or pick them up online from Nike Store.